SPAIN 1717 8 ESCUDOS NGC 58 POPULATION 1 ! 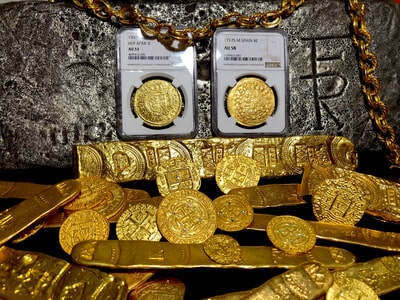 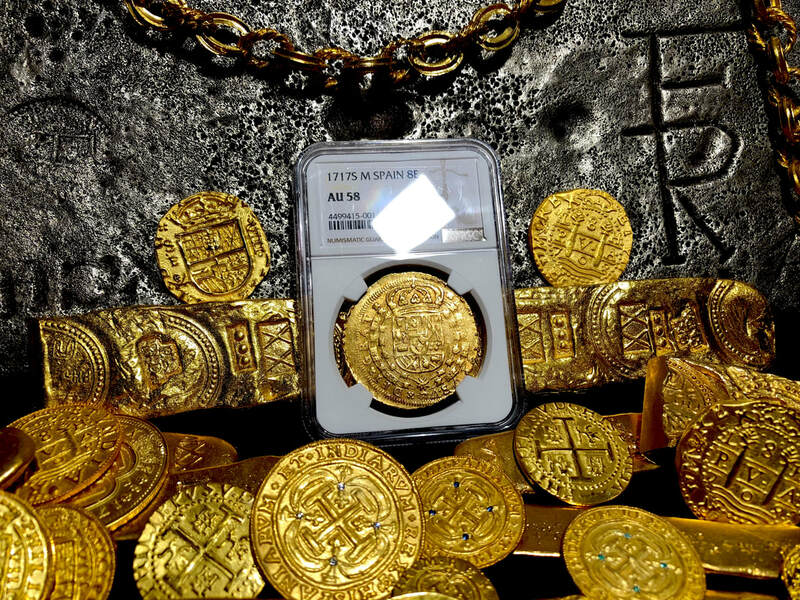 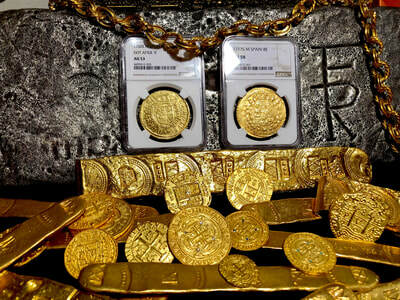 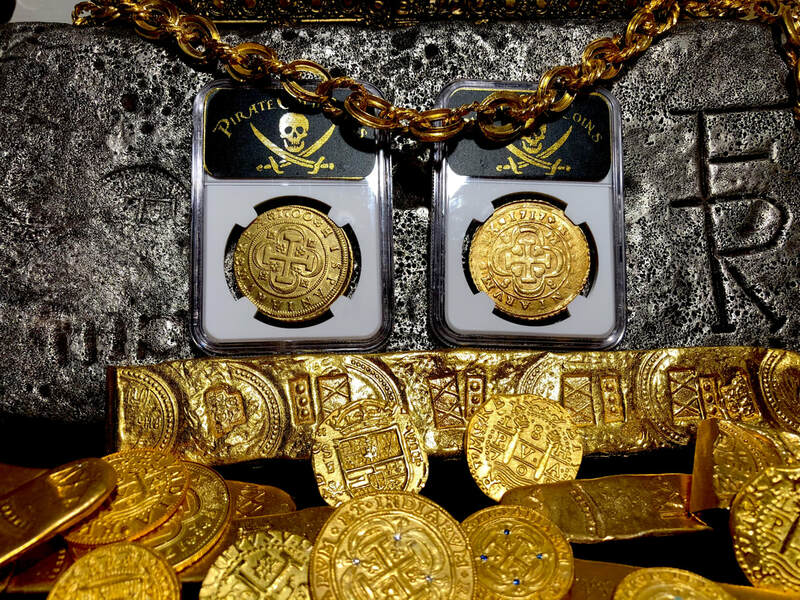 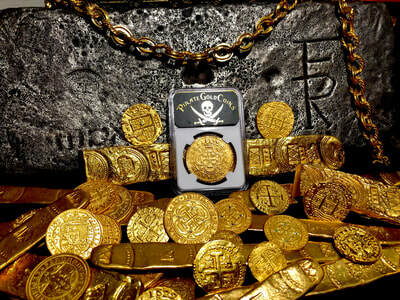 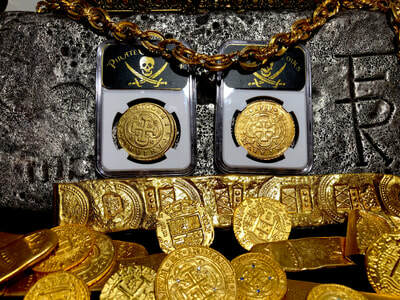 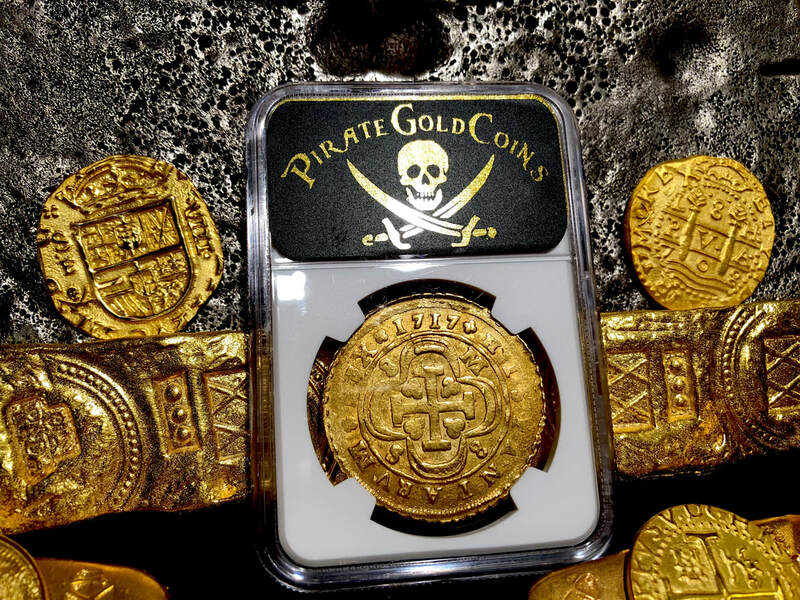 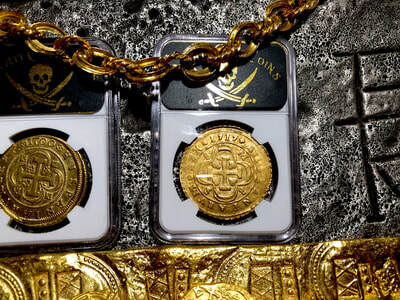 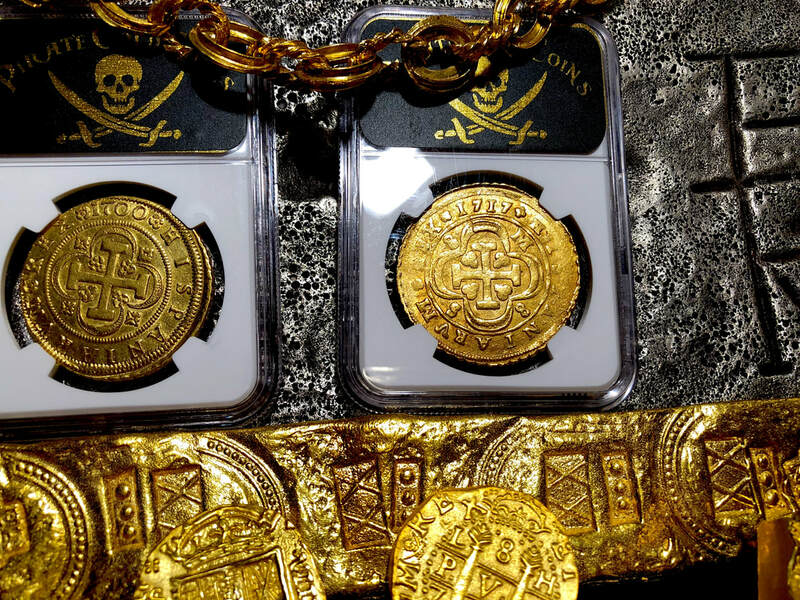 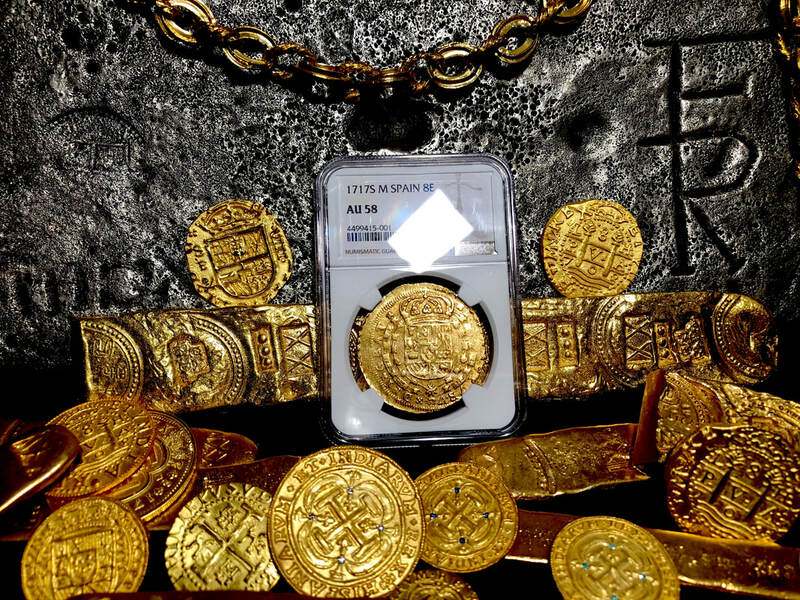 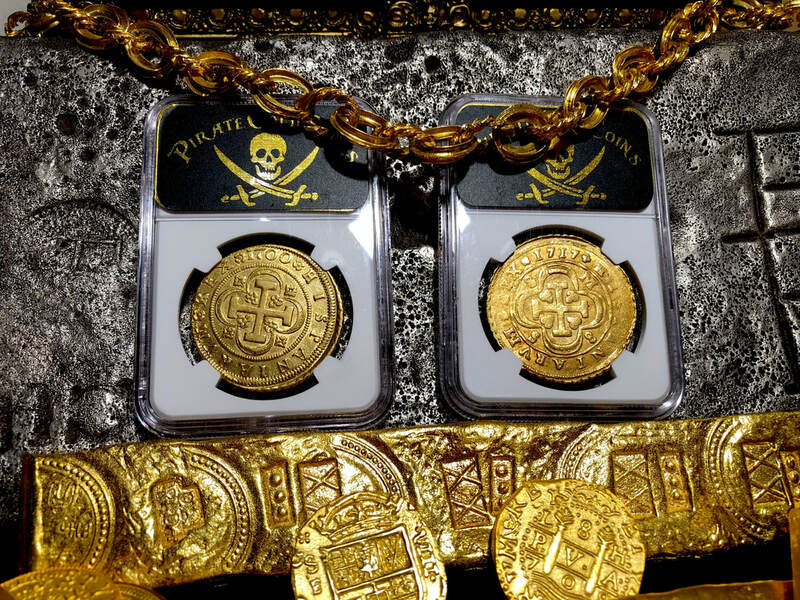 GOLD TREASURE PIRATE COIN FLEET EXCEEDINGLY RARE ~ Literally ONLY 1 KNOWN ~ ! 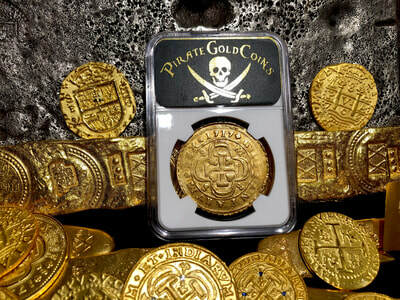 Most importantly for this issue (besides Rarity of course) is the Strike of the Date and this one is incredible!!! 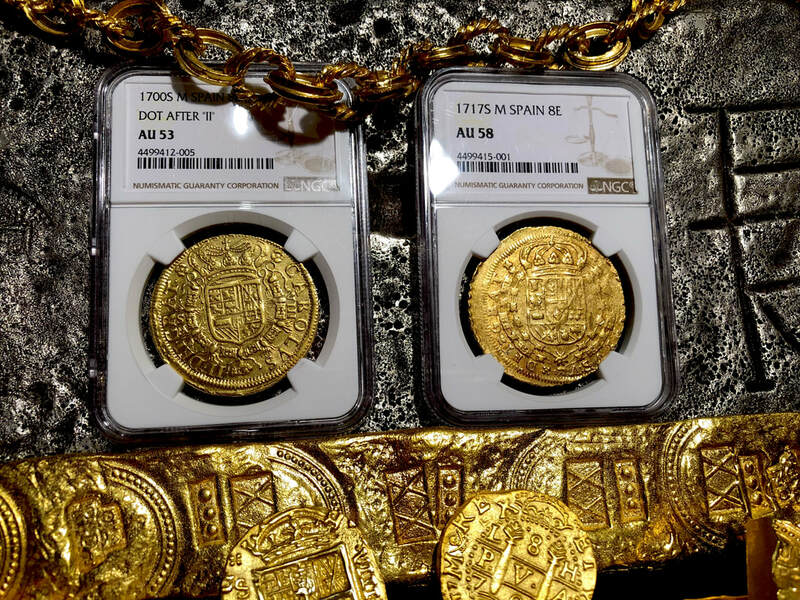 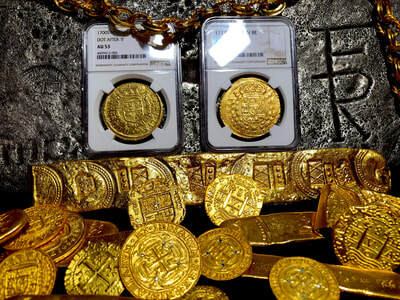 Remember these pieces were “MILLED” in Spain at this time (in fact, they milled gold coins as early as the 1500’s – we have some gorgeous Gold Escudos Milled from 1607 and 1608 as well). 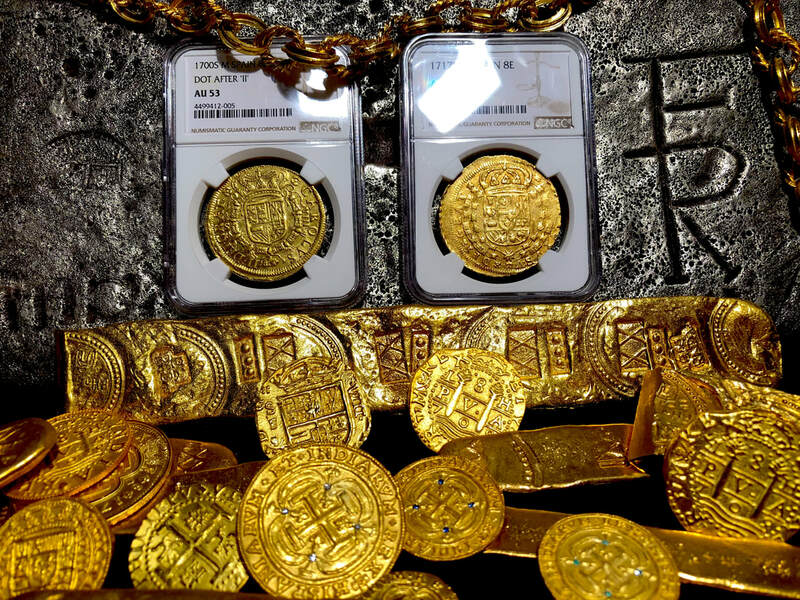 Imagine this press almost like a baker using a rolling pin to spread out his dough, this is very similar to the mechanical device use and as such, most to this type have fluctuating surfaces and details (very common to see Soft Cross’, legends, etc..). 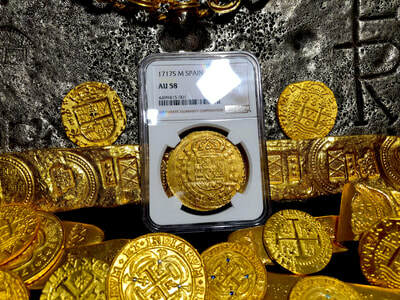 However, this piece has a Very Strongly pressed CROSS and DATE! 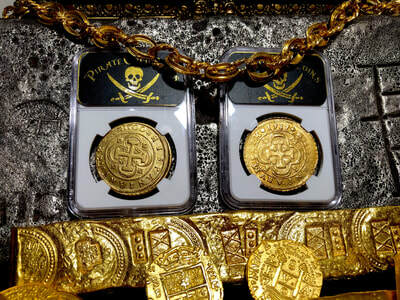 In addition, typically these pieces are shifted and the Rim (denticales – pie crust) are many times completely missing. 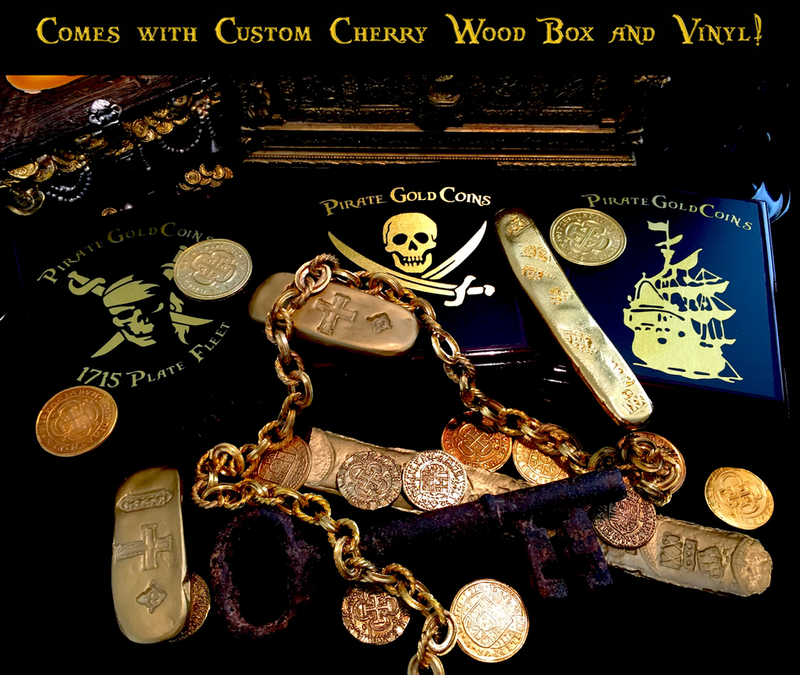 The Centering on this piece however is Excellent! This Spanish Gold Type is collected by date, and this piece is the ONLY one known!